Outside: CHRIST DIED FOR OUR SINS. 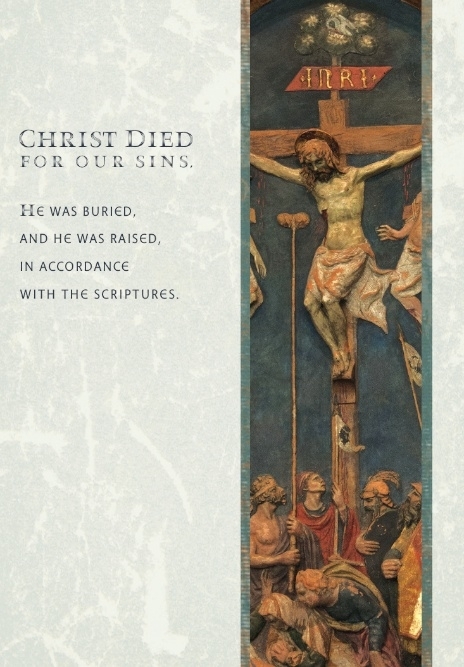 HE WAS BURIED AND HE WAS RAISED, IN ACCORDANCE WITH THE SCRIPTURES. Inside: (left) HE WAS MANIFESTED IN THE FLESH, VINDICATED BY THE SPIRIT, SEEN BY ANGELS, PROCLAIMED AMONG THE NATIONS, BELIEVED ON IN THE WORLD, TAKEN UP IN GLORY. (right) CHRIST REDEEMED US FROM THE CURSE OF THE LAW BY BECOMING A CURSE FOR US. FOR IT IS WRITTEN, "CURSED IS EVERYONE WHO IS HANGED ON A TREE" SO THAT WE MIGHT RECEIVE THE PROMISED SPIRIT THROUGH FAITH. 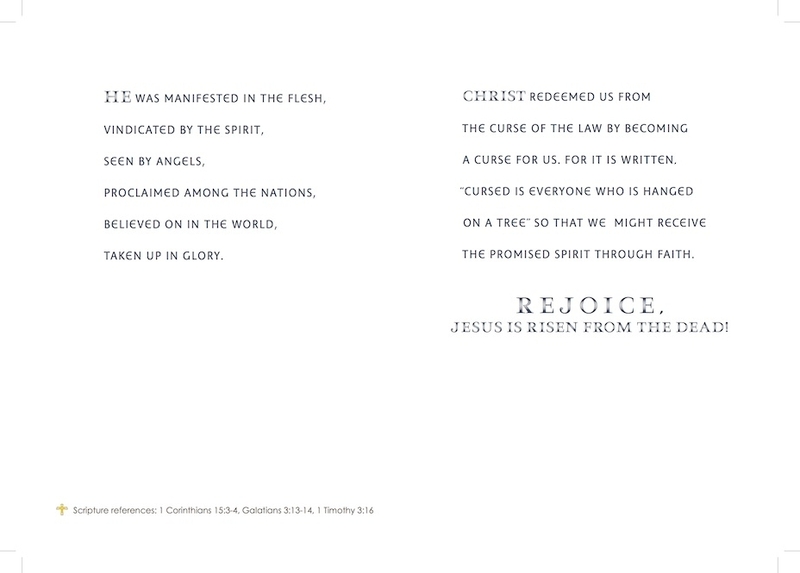 REJOICE, JESUS IS RISEN FROM THE DEAD!